Home » Island escape? Texel has it all! If you are living in Europe, you don’t need to travel all the seven seas to the earth’s end to find the ultimate island escape. Just head to the Netherlands. Yep! I know it’s hard to believe it, but Texel is simply amazing: large white-sand beaches, beautiful nature, quaint villages, quietness. The only thing you can’t find there are the palm trees. But who wants palm trees, if there are sheep, lots of sheep. 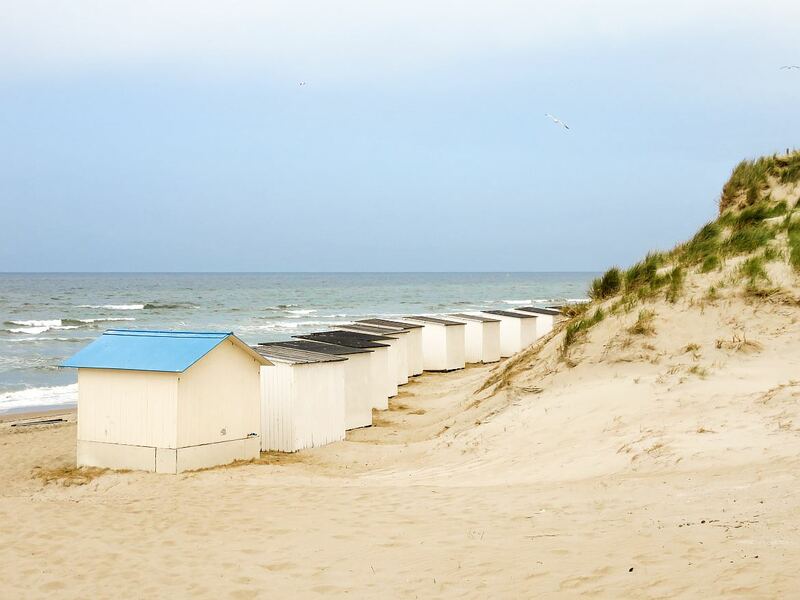 Texel has it all to be your next island escape. We were driving back home on the busy highway from Alkmaar to Amsterdam and then it occurred to me. I had fallen in love with Texel. It’s one of those places where you can escape from the everyday hectic, from the traffic, from the concrete jungle, from the modern urban cliché we are living in. And we don’t need to travel far to find this blissful place, it exists there, at the corner of Europe, only 100 km to the north of Amsterdam. 1 What has Texel to offer after all? What has Texel to offer after all? Here are my 9 reasons to visit Texel. Number 10 could be a good reason for someone, but not for me. Still Texel has it all! Well, almost pristine, given that the Dutch played God there as well and in the 17th c. connected two islands in one that we know today as Texel. Or that they have planted a whole pine forest, which was initially meant for the production of wood. In the last century, however, the nature has been left to itself. In 2002 the east coast of the island has been proclaimed a nature reserve and it became one of the 20 National Parks in the Netherlands under the name of Dunes of Texel National Park (Nationaal Park Duinen van Texel). The best way to discover Texel is by walking or biking, after all it’s an island 20 km long and 7 km wide. I was totally blown by the large white-sand beaches stretching along the western side of the island. And they were empty. There was a couple walking a dog, a kid with a kite and us. The overcrowded Holland was gone. It felt almost as if we were on an uninhabited island. And when the clock strikes the golden hour and the sun heads to its final resting place, make sure you are sitting at the beach on the west coast of the island for the grand show of the day – the sunset. The sun touches the water and turns heaven and earth on fire. Texel has unexpectedly the most amazing sunsets I have ever seen. Texel is a paradise for the birdwatchers. Well, the birds have also a lovely place to live in. They say that one can see more than 100 different birds in one day on Texel. We are not much of bird-lovers, but we enjoyed seeing them taking off the ground in flocks (not that we could tell which birds it was). Den Hoorn is absolutely adorable with its timber gabled fisherman houses and white church. Take a walk and get back in the time. Another lovely place to visit is the biggest village on the island – Den Burg. Cheese, smoked fish, jam, beer, wine are only some of the local produce you can find on Texel. What we loved are those improvised little shops in front of almost every house. You could take what you want and leave the money in a box or a jar. When on Texel you should try the local beer – Texels. We loved the Skuumkoppe, but they have 10 more sorts to try from. What a bigger recognition for Texel’s great food, than its very own Michelin-star restaurant! For a great culinary experience you should visit Bij Jef in Den Hoorn. We utterly enjoyed our dinner there prepared exclusively from local products. There are quite a lot good restaurants on Texel! We tried a few in Den Hoorn and Den Burg and we were never disappointed. Texel is famous for its sheep. They say that there live more sheep on Texel than people. And it’s kind of true, as the population on the island is only about 14.000 (not counting the tourists of course) and there are more than 17.000 sheep. Texel has even their own breed – the Texel (sheep). You can have those pastoral views with sheep grazing on the fields everywhere on the island. For the most breathtaking views on Texel, climb the 153 stairs of the Texel’s Eierland Lighthouse in De Cocksdorp! From there you can see the seals sunbathing on the next from the row of West Frisian Islands – Vlieland. You will be surrounded on the three sides by the sea. Well, I won’t lie to you, Texel is not only white-sand beaches and sheep grazing peacefully on the fields. Texel has also a touristic side. If you have too much of idyllic life and quietness, go to De Koog – overcrowded beaches, shops, night life, bars and lots of people. Otherwise, just avoid it, which is easily done. Have you been to Texel? Tell us why you loved it in the comments below! Or perhaps why you didn’t like it, but I am sure you had. Still wondering whether you should go? Needing more reasons to visit Texel? Ask your question in the comments and I will gladly help you. Join: Travelling to the Netherlands? You can join my special Facebook Group dedicated to Travel to the Netherlands, Luxembourg and Belgium, where locals and other travellers can help you plan your unforgettable trip to those countries. Very pretty and a place I need to plan a weekend for – maybe for this summer I’d love to find a little place to rent! I’m so glad that you decided to spread your love for Texel. I spent a weekend there last winter and totally loved it. In spite of the cold, the island’s pristine beauty really took me by surprise. I was also charmed by the many quaint little restaurants. It’s a place I’d love to return to, hopefully next summer. I’ve never heard of Trexel before. It looks like a fun place to visit. I love sheep and the nature opportunities. Would love to take a bike ride through the island. This is beautiful! I only think of Amsterdam when I hear of Netherlands! How crazy that this place exists! I would love to visit the “not so touristy” parts and hope to someday! !